FES International, a global producer of fluid transfer solutions, is celebrating a strong performance result following a vigorous testing process carried out on its equipment. The FES Diverless Bend Stiffener Connector (DBSC) underwent a full-scale fatigue test designed to test hardware to its operational limits. The results of the test confirm the operational limit of the hardware and shows the amount of damage that occurs during a fatigue loading scenario. 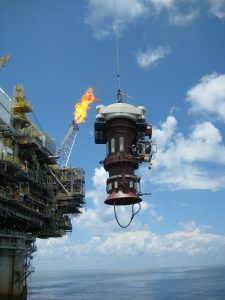 The DBSC received a high-performance result as it is specifically designed to accommodate the offshore fatigue loadings that were replicated on the test. The FES DBSC technology, which is used in offshore applications where subsea connection of a bend stiffener is required, has proved a big success for the firm with over 370 units supplied around the world and many more on order. Managing director of FES International, Rob Anderson, said: “Quality is at the heart of everything we do as our clients rely on our equipment to perform well in the toughest of conditions where there is no room for failure. This performance result is really gratifying as it validates the high levels of investment we place in our research and development process to ensure we deliver the best possible equipment into the field.